4144 Meadow Way Bloomfield Twp, MI. | MLS# 218110119 | The premier resource for all real estate information and services in Metro Detroit. Highly sought after sprawling Foxcroft ranch with open floor plan and over 4000 sq ft of living space. This 6 bedroom, 3.5 bath home offers high end kitchen w/cherry cabinets, granite, and built in appliances. Enjoy the privacy and exceptional entertaining options of the expansive finished basement and in-ground pool & jacuzzi with pebble tec plaster, granite coping, and exposed gunite surround. 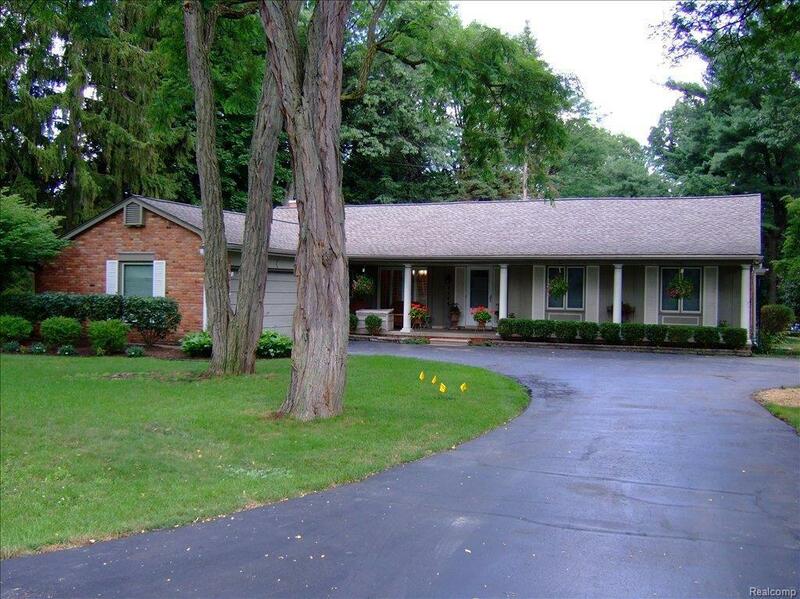 Bloomfield Hills schools, plenty of storage and convenient location enhance the complete package of quality and space. Enjoy the possibilities!